ARTICLES Are You Suffering IRS Levy Hardship? Are You Suffering IRS Levy Hardship? Resolving or Avoiding a Bank Levy. An IRS wage levy or garnishment can be imposed on you for past-due taxes. 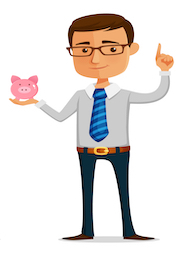 If a wage levy could cause you undue financial hardship, you can attempt to have it stopped. Seek advice on the best course of action from a tax debt relief professional. Owing money to the IRS is a serious matter, and when you get behind with your tax payments, the IRS can take action against you to recover what you owe. Any of the measures it takes can cause you distress and hardship. However, if you have been subjected to punitive action and you are suffering from undue IRS levy hardship, you may be able to get a tax levy released. However, this is not a simple process, and you should seek professional advice before attempting it. What Levies and Liens Can the IRS Impose? How Does a Wage Levy or Garnishment Work? The IRS will assess your tax and determine how much you owe. The IRS will send you notice and a demand for payment of the required amount. If you fail to communicate with the IRS and you don’t pay your taxes on time, the IRS will send you a Final Notice of Intent to Levy and Notice of Your Right to a Hearing. You should receive these notices at least 30 days before the garnishment of your wages begins. Your employer will receive a directive from the IRS that legally obligates them to withhold part of your wages and hand it over to the IRS. This means that you will only to receive the amount that is left after the IRS deduction from your wages, which could be as much as 70 percent of your earnings. The wage levy doesn’t stop until your full tax liability is paid along with interest and penalties or until you leave your job. Trying to negotiate a deal with your employer to get paid off the record is not a wise idea. Such an action is a felony, and both you and your employer would be liable to criminal prosecution. You should try to avoid the wage levy altogether by responding to the communications you receive from the IRS. The IRS wants to collect your taxes, but if you can’t pay the full amount, the agency is also willing to work with you to find the best solution. Can a Wage Levy Be Released If You’re Suffering Financial Hardship? You can stop a wage levy before it starts, or when the deductions are being made, by proving that the action would cause you immediate and undue financial hardship. 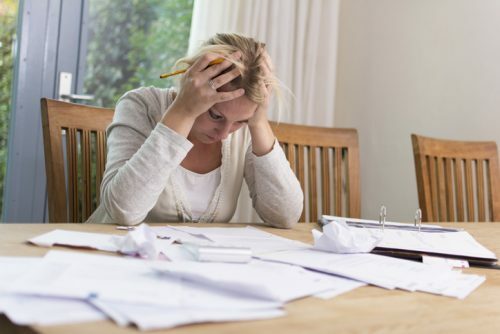 You are deemed to be in financial hardship if you are unable to meet reasonable basic living expenses, or if you have no money left over after you’ve paid for basic living expenses. Bank Levy Freezing Your Accounts? Put an end to the levy that's limiting your finances. Proving financial hardship is a formal process, and you will need to provide full financial disclosure. Your finances will be scrutinized, including your monthly income, expenses, and savings. Notice from your landlord to pay or be evicted or notice that your utilities are going to be turned off can be strong evidence of hardship. Also, showing that children or elderly or disabled people are dependent on you would be compelling. In addition, the IRS will look at any assets you have that could offset your debt. If you own valuable property or land that you’ve been sitting on until the market improves, you would be required to sell that and pay the proceeds towards your tax debt. If you are deemed to be able to pay anything toward your tax debt, the IRS could require you to enter an installment payment plan. Your debt could be placed in “currently not collectible” status. Once it’s been determined that a wage levy would cause you undue financial hardship, the levy will be stopped. However, if the IRS requires you to enter into an installment payment agreement, you would have to make monthly payments to pay off your tax liability. If your full financial disclosure reveals that the IRS has no realistic expectation of collecting your past-due taxes, your account may be placed in “currently not collectible” status. This means that any levies will be released, and the IRS will not make any attempt to collect your back taxes. This status doesn’t mean that your tax debt simply goes away. It will continue to accrue late penalties and interest that is compounded daily. If you are entitled to any tax refunds in the future, the IRS will hold onto them and apply them to your tax debt. Your financial situation will be reviewed each year, and if your circumstances improve, you will still have to pay the taxes you owe along with the interest and penalties. However, if your situation does not improve and you reach the 10-year statute of limitations’ expiration date, by law the IRS will no longer be able to pursue the debt. As a last resort, you could file for Chapter 7 or Chapter 13 bankruptcy, which would usually stop all IRS collection procedures and tax levies. However, the tax debt will still be there when your bankruptcy proceedings end, unless you make payment arrangements as part of Chapter 13 bankruptcy, which requires making monthly payments to pay off your debts. If you have trouble paying your taxes and you are suffering financial hardship, you don’t have to face it alone. Solvable can match your personal circumstance with debt relief providers who can advise you on the best course of action.